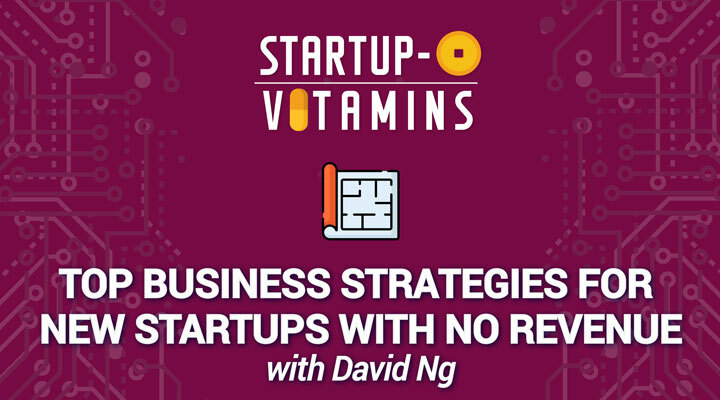 Back on Startup-O Vitamins series is David Ng, Group CFO of MiRXES. In the video below, we discuss top business strategies for new startups with no revenue. I’ve seen a lot of startusp without revenue and I think that’s an interesting phase. I call that the distillation phase and it’s where you’re trying to get ready for market. Whether it’s Minimum Viable Product or just a concept, the target is to get to the point where you can be confident enough to go to a potential client. What you need, aside from a wireframe or similar, is to have the confidence to get in front of a client. A product roadmap and an engineering roadmap, to me, shows from a temporal point of view, where you want to get to and how long it’s going to take. 12 or 18 months is a great timeframe. I think it is important to have a very clear vision of where you want to be as well as communicating that to your team members. Buy in from your team members before you even think about going to a client. Breaking your 3 months down into specific milestones allows you to build a track record. I think once you show that you can reach fortnightly, weekly or even daily milestones, it allows you to check whether you do what you say. In general, if you have a track record of doing what you say you are going to do, that should inspire confidence. If you multiply that across your team members, that will naturally come across in your client pitch. To me, clients are looking for confidence in a team that knows where they want to get to, and understands the client problem. That’s really going to come across because clients want confidence. Want to learn more about Fundraising, Growth Hacking, and other startup advice? Share your passion with fellow entrepreneurs and be part of our fast-growing Facebook Community here!